The Taube was a pre-World War I German monoplane and the first mass-produced military plane in Germany. It was used for all common military aircraft applications, including as a fighter, bomber, surveillance plane and trainer from its first flight in 1910 until the beginning of World War I. The name Taube, which is Geman for "dove", does not refer to a specific make or manufacturer of the aircraft, but rather to the design itself. Thus, the plane, which was very popular in the years immediately prior to the First World War, was produced by a number of manufacturers in both Germany and Austria. 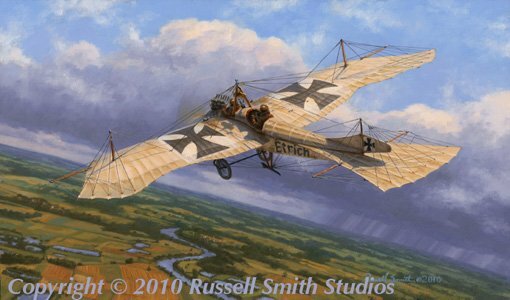 The most well known versions, however, were those produced by Etrich and Rumpler. By 1914 the Taube proved lacking as a serious warplane and was soon replaced.